The Seat Leon Cupra 280 has set a new Nürburgring benchmark for a front-wheel drive production car. The official announcement is being saved for the Geneva Motor Show, but Top Gear has the scoop for now. As you can see the lap time is 7:58:44, which is pretty bloody quick, obviously. 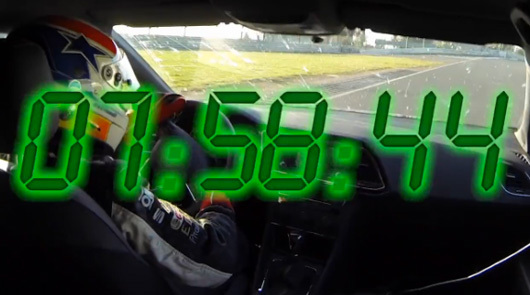 It also cuts almost 10 seconds off the previous best, set by the Renault Megane RS 265 back in 2011. Seat recorded the lap time late last year with factory touring car driver Jordi Gene at the wheel. His Cupra 280 was fitted with a 6-speed manual gearbox and super sticky (optional) Michelin Pilot Sport Cup 2 tyres. NOTE: Follow the source link if the video above does not work.